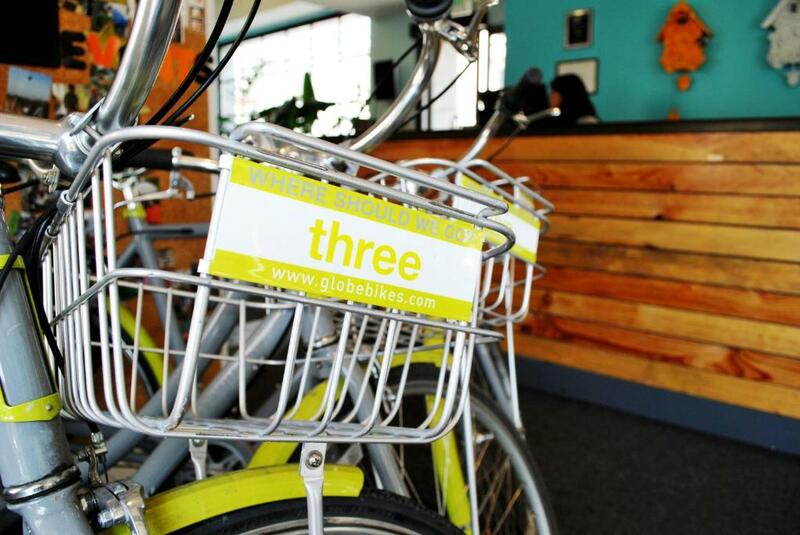 An eco-friendly vibe rental bikes and a SoMa location a block from a BART station make the non-smoking Good Hotel a cool choice for our guests. Every day is Earth Day at the eco-friendly Good Hotel. Arranged in two wings the 117 non-smoking playfully decorated rooms feature fleece blankets made of recycled soda bottles and chandeliers constructed of empty artesian water bottles. 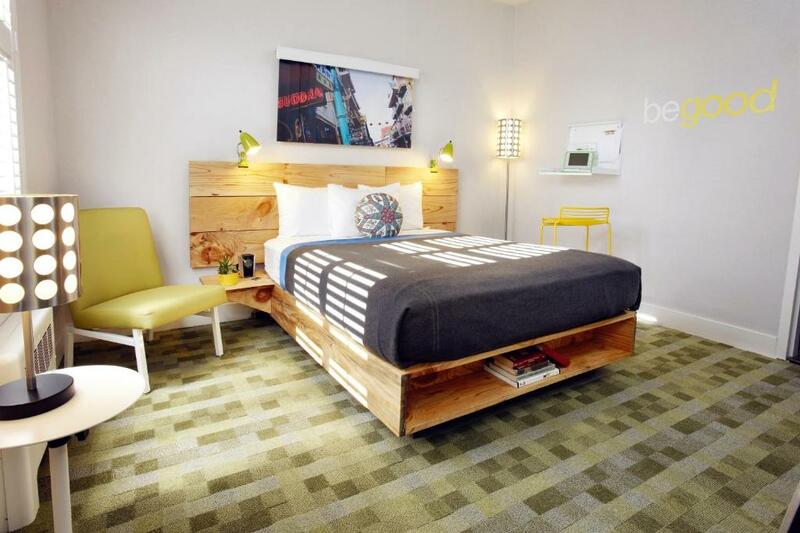 Rooms come with Wi-Fi flat-panel TVs and iPod docks. 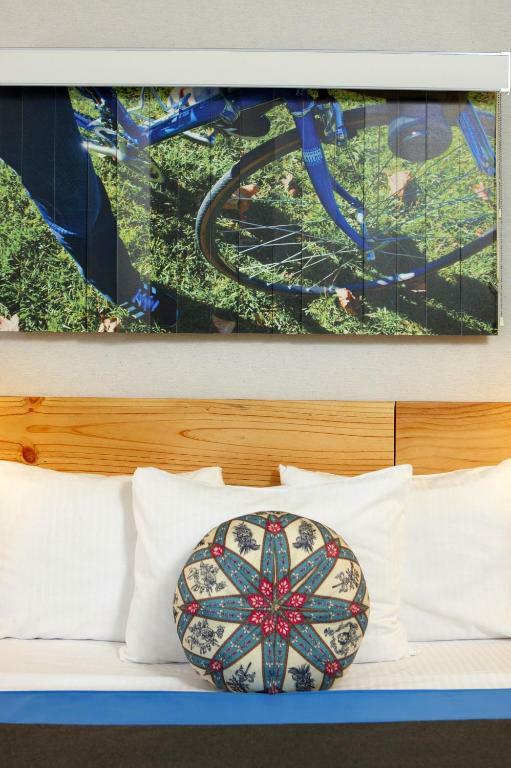 The hotel also has parking (free for hybrid cars only) bicycles for loan a book exchange program a photo booth and free access to a nearby outdoor pool and fitness center. Pets are allowed for a fee. 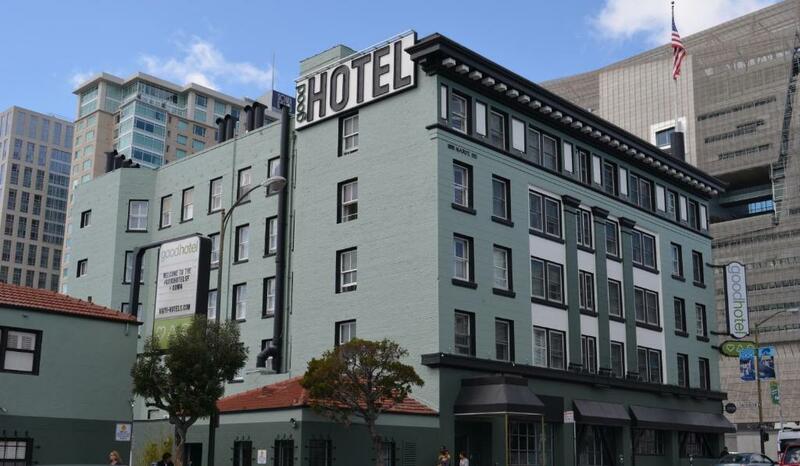 The Good Hotel is located in SoMa a block southeast of the Civic Center BART station and about five blocks southwest of the cable cars on Powell Street. The Asian Art Museum is four blocks away and Union Square is a mile from the hotel. Japantown is one-and-a-half miles west and Coit Tower is two miles north. The hotel is 13 miles north of San Francisco International Airport and 20 miles northwest of Oakland International Airport. our guests applaud the Good Hotel's "friendly and helpful staff" "nice design" and "good location" a block from public transportation. The staff let us check in very early. It was an okay hotel. The only thing I really have to complain about is the staff. Only one gentleman was friendly and helpful. The other two ladies were rude and unhappy to be at work. It was close to the sights we were wanting to see. They didn't have a microwave and not alot of parking. It wasn't SUPER clean but we really just went to sleep anyways. It was clean and well maintained. A lot smaller than the picture but that was not a problem for me. It was near so many attractions and had many amenities. You could tell that the staff really cares about you. Its location and cleanness and has a nice staff. The bed was a bit small (twin size) for me although they mentioned that the bed would be twin (so no blame on them). The room was very clean and the bed was comfortable. There was a heavy rainstorm - and the bathroom window leaked. The leak at the top of the window fell on my toiletry kit, which was ruined. I placed an ice bucket under the leak and notified the front desk, and the clerk said "oh." That's unacceptable.